This week was quite full and I am looking forward to a full working weekend, as is my usual. A little piece of equipment has been keeping me sane through it all – guild Tuesday night, Norah climbing out of her crib all week and finally putting her in a bed last night, speaking at the Greater Vancouver Weavers and Spinners Guild yesterday, and hot sunshine that has left us all feeling tired at the end of each day. 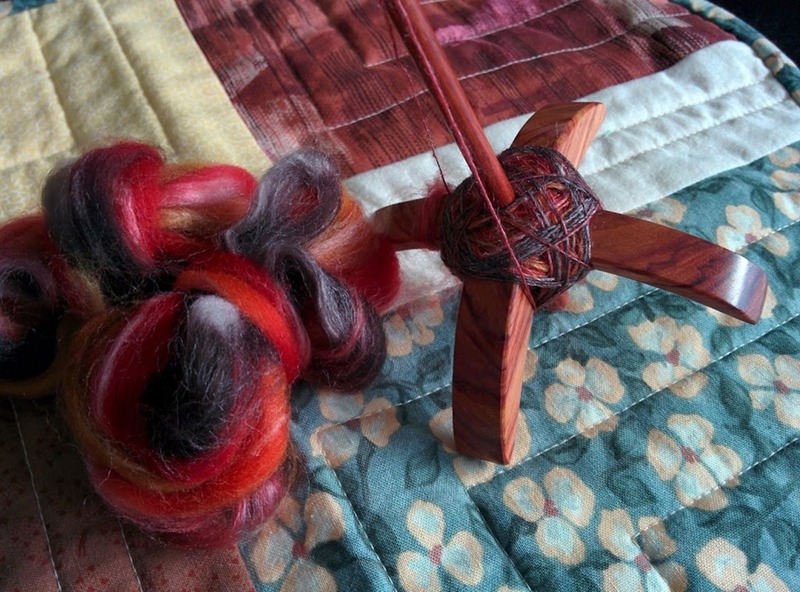 A great mail day last week, I bought two little capar spindles from Natural Knot Wood in Winnipeg, Manitoba, and am loving these quick little devils – they are so fun! I’m spinning up some Panda from the Spinning Socks Six Pack from Sweet Georgia Yarns a few years ago. It’s perfect fibre for these fast little Turkish spindles. I’m also making working steadily on my Pommier Vest, which is slow slow slow. I’ve been working on it steadily but for some reason, the brioche collar is taking forever. 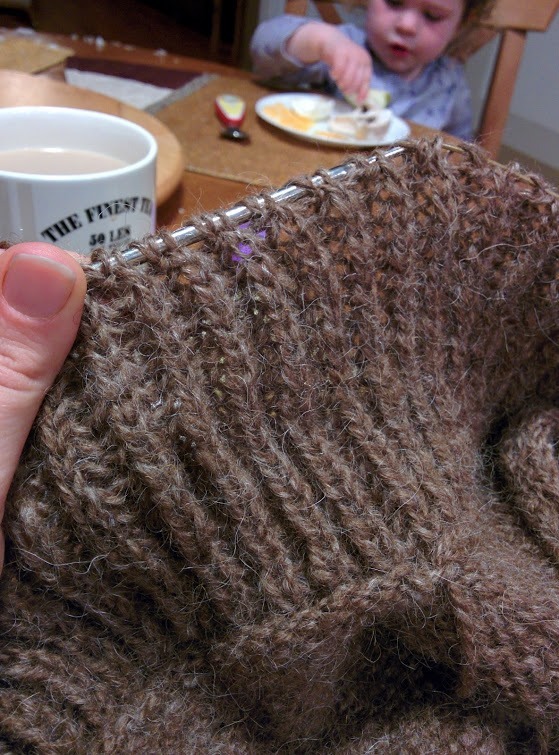 In the past, I have knit brioche very quickly – this is just tedious. I’m not sure if it’s the fact that I haven’t been able to sit down and really work on it in one good session? Probably. Collars have never been particularly labour intensive for me – they tend to go very quickly. This one just isn’t fitting that bill. The lovely thing about this vest, however, is that when the collar is finished, I am finished the entire knit! No sleeves! Whoot! I hope you’ll link up below and join in! Feel free to grab the button below and share it on your own blog! Previous Post washing all the things. Next Post Spinner Spotlight :: Jessanne S.
And it was lovely to meet you at the guild meeting, Rachel! You handled the “technical issue” with grace and I really enjoyed your talk.